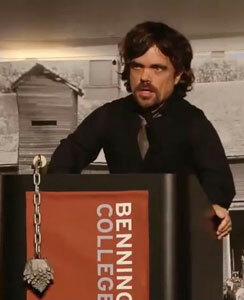 Game of Thrones‘ Peter Dinklage went back to his Alma Mater, Bennington College, last June to give the Commencement Address to the graduating class. It’s a little under 30 minutes and starts to get really interesting at the 10-minute mark. He talks about moving to NYC and the start (or non-start) of his career.